Husband and wife team, Alex Klaits and Gulchin Gulmamadova-Klaits present a unique collection of true stories of Love and War in Afghanistan. Husband and wife team, Alex Klaits (Kyrgyz Republic 1995-97) and Gulchin Gulmamadova-Klaits have just published Love and War in Afghanistan, (Seven Stories Press) a unique collection of true stories of fourteen ordinary men and women living in Northern Afghanistan. These are tales of young lovers who elope against the wishes of their kin; a mullah whose wit is his only defense against his armed captors; a defector from the Soviet army; a woman who is forced to stand up to gangsters in Tajikistan. 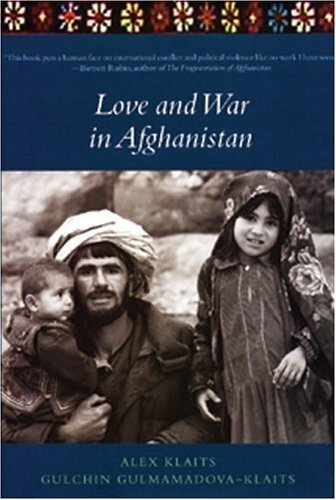 Among the praises for the book, Haleh Esfandiari, Director Middle East Program, Woodrow Wilson International Center for Scholars, writes on the blurb, "Alex Klaits and Gulchin Gulmamadova-Klaits have woven a beautiful, moving and haunting tapestry of individual lives in war-torn Afghanistan?. This is a must read for anyone who cares about and wants to grasp present-day Afghanistan." 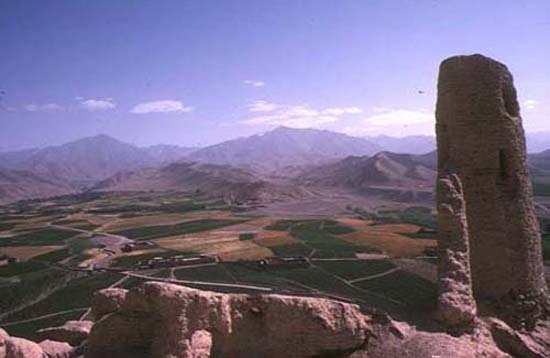 Klaits knows Afghanistan and the problems of development there. Back in May of 2003 he spoke at an event sponsored by the Woodrow Wilson International Center for Scholars, and the U.S. Institute of Peace, and said that nongovernmental relief organizations such as Child Fund Afghanistan (where he was program manager) oppose the provisional reconstruction teams, which were established in several Afghan regions earlier this year, because they put military forces in charge of relief work. "Many of the NGOs are going bankrupt but the military has lots of funds," he said. "We believe the NGOs are capable of doing this work." More practically, Klaits said that the military teams, which are made up of Army special operations soldiers, regular ground troops and Army personnel trained in reconstruction, have failed to tap local resources and have botched construction projects. The teams have hired Afghan construction companies to rebuild schools and hospitals, he said, but don’t have engineers on staff capable of overseeing the work. "The schools being built are already falling down." In addition, he said, the teams have wasted money by failing to call for community volunteers and for allowing the Afghan construction firms to overcharge for their services." Spoke like a true RPCV. 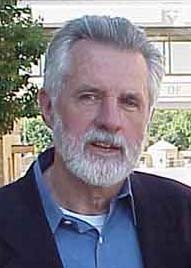 John Coyne is the Editor of the Peace Corps Writers web site. Hugh Pickens contributed the visual design. Peace Corps Online is proud to announce that the Peace Corps Library is now available online. With over 30,000 index entries in 500 categories, this is the largest collection of Peace Corps related stories in the world. From Acting to Zucchini, you can find hundreds of stories about what RPCVs with your same interests or from your Country of Service are doing today. 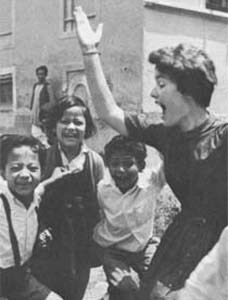 If you have a web site, support the "Peace Corps Library" and link to it today. RPCVs: Post your stories or press releases here for inclusion next week. I am looking for Joel horton (orton) he is fron Oregon. He was in Panama 20 years ago.